Betrayal at the Funhouse is a Dungeons & Dragons (5th Edition) Tier 1 campaign for 3-8 players. This module is meant as a one-shot campaign but can take place inside any other world. In this campaign, players will help Alicia solve the mystery of her disappeared lover by exploring and investigating a carnival. 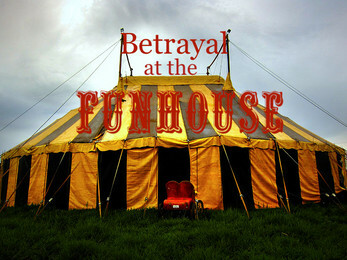 They find out the carnival harbors a sinister evil, but will they be able to solve the mystery and reunite the lovers? Also, what’s up with all of these evil clowns? !